I recently revisited an album that I initially reviewed back in March this year, a piece that has stood since then as my pick for overall best album of 2015. Maybe I’m somewhat biased. But music reviews are all about opinions. So the fact that Hasse Fröberg is something of a hero of mine shouldn’t bother anyone. Especially not fellow fans of his work with the Flower Kings and Musical Companion. Back in 2013, when the Flower Kings opened for the Neal Morse Band at Philadelphia’s Keswick Theater for the Banks of Eden tour, I had the opportunity to chat with him after the show about music, life, the universe, and everything (mostly just music). Anyone else who has also had the distinct pleasure knows that Hasse is a personable and humble musician with ambition, creativity, and a voice that is immediately recognizable, not to mention the fact that he loves what he does. Hasse’s third album written with Musical Companion – a self-titled project, simply abbreviated HFMC – was officially released this past March. I had high expectations for this release, and am still amazed that HFMC delivers on them all. Comparisons to The Flower Kings remain inevitable, but where TFK compositions often are accused of “filler,” HFMC has no fat to be trimmed. This is an album that is purposeful, well-structured, and accessible. Though Hasse has stated on several occasions that HFMC is not a concept album, he does acknowledge that the music was created with “a bit more cohesive[ness than previous albums], with (amongst other things) a theme that pops up here and there.” Most notable is the theme of passing time that appears both in lyrics as well as in the recurring metaphor of the ticking clock. It is also worth noting that a number of difficulties presented themselves during the production of HFMC. Even if all music and lyrics (except for “Pages”) were written before Musical Companion gathered in the studio to begin recording, the subsequent losses of Hasse’s mother and Ola Strandberg’s (drums) father brought a noticeably sorrowful atmosphere to the final recording. While the content is not directly related to the band’s personal lives, there is a raw emotional quality to this third Musical Companion album that wasn’t there on either of the band’s previous releases: a human vulnerability that is both honest and inspiring. HFMC is bookended with two brief tracks – the intro, “Seconds,” and the outro, “Minutes.” Together, these create a bridge which connects the overarching themes of the album: the passing of time, the acknowledgement of life in progress, and the anxiety of aging. “Seconds” fades from a ticking clock into ambient synth lead, a neat musical theme that will later reappear at the conclusion of “Somebody Else’s Fault.” Without warning, “Can’t Stop the Clock” explodes out of this dreamlike atmosphere into its introductory flurry of unison hits. Clocking in at 7:24 minutes, the song establishes the musical trends of the album as a whole: dynamic variation in meter, tempo, and theme, as well as the fusion of Hasse’s penchant for progressive ballad-writing with simple verse/chorus pairings – although spacey ambience and repeated instrumental breaks veer this album sharply away from other pop sensibilities. “Can’t Stop the Clock” also strongly features each member of Musical Companion, another factor that made it a prime candidate for the album’s “single” (if there can be such a thing in prog). 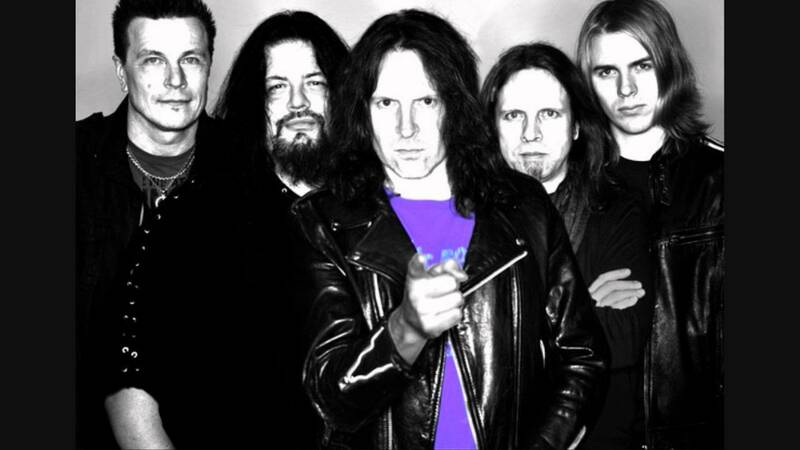 Anton Lindsjö demonstrates both his prowess as a guitarist as well as a noticeable metal influence, which together provide an edge to what might otherwise have been a more psychedelic composition. Ola Strandberg and Thomas Thomsson unite rhythmically on drums and bass respectively, creating foundation and ear-catching unison stabs. Kjell Haraldsson provides atmosphere and texture on the keys. Hasse’s voice unmistakably shines. The next tune, “Everything Can Change,” is still my overall favorite track on the album, even months later. After a keys-and-guitar unison entrance, the song kicks into a lighthearted pop bounce for its verses, but transitions into a grooving 5/4 meter for choruses and the instrumental sections of its latter half. Thematically, this piece is Hasse’s reflection on impermanence and the fragility of existence: “Nothing is static, everything is flexible, not so dramatic, today we’re all expendable.” At this point, the 3:10-minute mark, Lindsjö sets off on an all-too-brief, bluesy guitar solo of Guthrie Govan caliber, fading in over Hasse’s lingering voice. From there, the track transitions into Haraldsson’s Vince Guaraldi-esque piano solo, a jazzy segment that moves against Strandberg’s hard rock beat and Thomsson’s contrary bass motion, creating a unique and memorable texture. Though there are three 10:00+ minute tracks on HFMC, “Pages” is the album’s true epic. Huge guitars and organ patches entrance this monster before plucked twelve-string guitar takes the rhythmic center, undergirded by bass and acoustic guitar lead. After a tone-setting first verse, the second builds tension via bass and drum stabs, and the succeeding passage transitions into a complex meter, moving steadily toward the enormous refrain: “So many pages left to turn!” Warbling organ gallops in a Kansas-esque hemiola beneath strong vocal harmony and rhythmic guitar, bass, and drum hits, and then the introductory guitar passage majestically returns. After a stop time bridge in the vein of Procol Harum, a long instrumental section ensues, featuring a number of time changes and tight cohesion across the band, before gradually breaking down into near silence for another of Lindsjö’s emotive guitar solos. Gentle keys and soft acoustic guitar build out of the hollow space left in the wake of the lingering guitar lead, gradually returning for another pass through the track’s namesake chorus. As stated, this was the only composition on the album for which the lyrics were still unfinished before the passing of Hasse’s mother and Strandberg’s father. The entire song seems to channel the image of looking through a photo album, remembering the past, and finally arriving at the place where there are no more pictures and the pages are blank – left to be filled. Lines such as “[It] was like your spirit faded away, leaving me speechless” and “I hope you’re staying at a better place, life wasn’t meant to end this way” render “Pages” an immensely heavy song, tightly wound with grief but also with hope and healing. I recently lost my own grandmother, and listening back to HFMC now has been a significantly more emotional experience than it was before. “Genius” follows on the heels of the epic, fading in with ambience and gentle acoustic guitar. Symphonic string patches create backing texture for Hasse’s powerful voice. Lindsjö’s slide guitar whines through the background as Thomsson and Strandberg join the mix, assuming the steady 5/4 gait that carries this nearly 6:00-minute song to its completion. Dark and melancholy, this tune thematically associates isolation with brilliance: the path of an individual destined for greatness is often sorrowful and solitary. The album’s second epic-length piece, “In the Warmth of the Evening,” clocks in just under eleven minutes in duration. Ambient keys, guitar lead, and rumbling bass preclude Haraldsson’s gorgeous piano, and then the band joins in for a very Transatlantic-esque guitar lead – a theme that reappears at the song’s conclusion. I love the refrains on this composition: each begins with Hasse’s voice isolated against gentle drum work before building into symphonic release: “Everyone needs a place they can call their own / Yes, I know where my heart belongs – that’s where I like to call my home.” A long instrumental break at the heart of this piece breaks down into dissonance before Haraldsson’s extended synth solo and a gradual build back to a double refrain: first, spacey and rhythmic; then, huge and final. The remaining portion of the tune is instrumental, borrowing from the introduction to bring the composition full-circle, but varying enough to provide strong finality. “Something Worth Dying For” channels a Dream Theater vibe and trends in the direction of symphonic metal. The track kicks off with Thomsson’s modulating slap bass, then moves immediately into huge unison across all instruments before Hasse begins singing. The center of this 5:00-minute composition provides brief moments for guitar and synth lead, and I particularly like the textures created by crunchy guitars and bass against organ patches. I stand by what I said back in march. 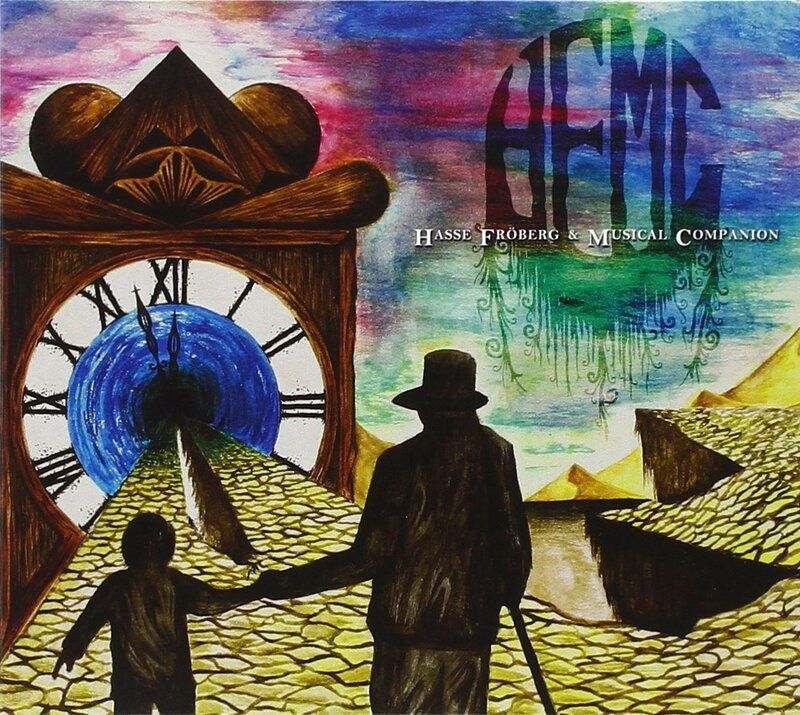 HFMC is one of those albums that sits with you. Parts of it are catchy and hook-oriented, but these sections are in no way the album’s only “highlights.” HFMC possesses enormous depth and scope, and its content resonates at a level deeper than simple appreciation for well-written melodies. I firmly believe it is impossible for Hasse Fröberg to write a song that is not emotional, powerful, and sublimely uplifting – whether it’s a lighthearted tune about Venice California or an ambitious, bittersweet epic like “Pages.” Furthermore, the overall complexity of Musical Companion’s music is difficult to encapsulate: there are always multiple things happening – things that tug at the ears and the heart and provide incentive to listen again. And again.